Cancer Council Queensland CEO Ms Chris McMillan is encouraging men to get informed about prostate cancer. September is Prostate Cancer Awareness Month and Cancer Council Queensland is urging men to help raise awareness of the disease and better understand their risk to help detect it early. Ensure you are informed by reading the below five important points. One, it’s the most common form of cancer in Queensland men. The approximate lifetime risk for a Queensland male to be diagnosed with prostate cancer before the age of 85 is one in five. 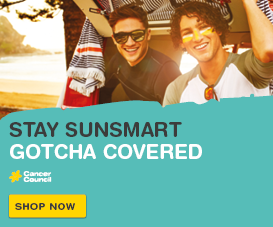 It makes up 26 per cent of all male cancers and 12 per cent of male cancer deaths. Two, genetics matter. Men with a family history have an increased risk of developing the disease. If your father or brother has had prostate cancer – your risk will be twice that of other men. Or, if you have a strong family history of breast or ovarian cancer, particularly BRCA1 or BRCA2 gene mutations, your risk is also increased. Three, risk increases with age. Prostate cancer is most commonly diagnosed in men aged between 60 and 79, with the risk rapidly increasing for men aged over 50. Four, it’s important to discuss any changes to your body with your general practitioner. Early prostate cancer generally does not produce any symptoms. Any change you may experience, is worth a discussion with your GP. A number of other non-cancerous conditions can affect men and produce symptoms, so it is better to get them checked out! Five, understand your risk and talk to your GP about any concerns you may have. Understanding your risk will help to determine what you do next. While there is no single, simple test to detect prostate cancer, it is important that Queensland men understand their risk and discuss testing with their GP. It is important to be informed before making any decision about your health. Being diagnosed with cancer or supporting a family member or friend can leave you with many questions, so please know you don’t have to face cancer alone – we’re here to help. 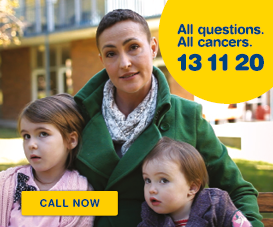 Call 13 11 20 to speak to a member of Cancer Council Queensland’s Cancer Information and Support Team to access information or confidential support and referrals. 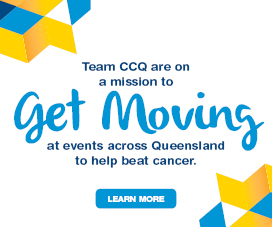 More information about Cancer Council Queensland is available at cancerqld.org.au.